Things just keep going from bad to worse for Thiago Silva. Following today’s court hearing, which was a result of yesterday’s gun wielding at a BJJ school and stand-off with police, UFC officials have decided that now is the time to part ways with the Brazilian Slugger and have thus terminated his contract. 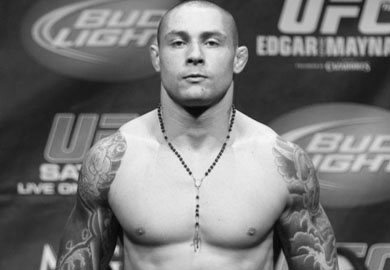 The now former UFC fighter, Thiago Silva, is being charged with multiple counts (2) of aggravated assault with a firearm. Additionally, the judge labelled Thiago as a potential risk to the health and safety of the community, namely his wife and Pablo Popovitch, who were named as victims in Silva’s arrest. The chance of bond was ultimately withheld by the court, and Silva was instructed to surrender his passport. Talk about having a bad day. Well, 24 hours anyway.